We are a software company specialized in high-performance C++ components for mesh generation and the finite elements method (FEM). Use CM2 MeshTools® and CM2 FEM® to get rapidly top quality meshes and ultra fast computations. 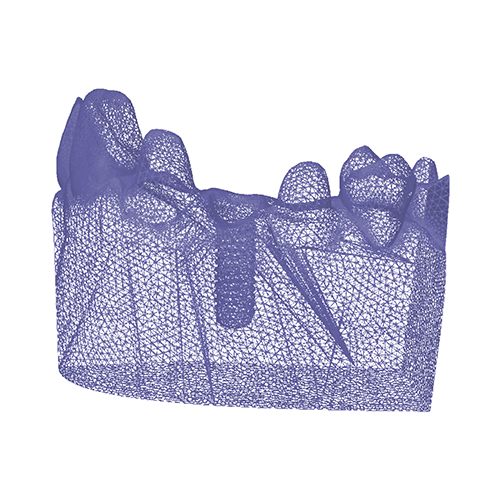 The CM2 MeshTools® Suite is a very efficient libraries suite (C++ framework) for mesh generation of planes, surfaces and solids. The CM2 FEM® Engines are fast FEM (finite element method) C++ engines for structural mechanical computations. 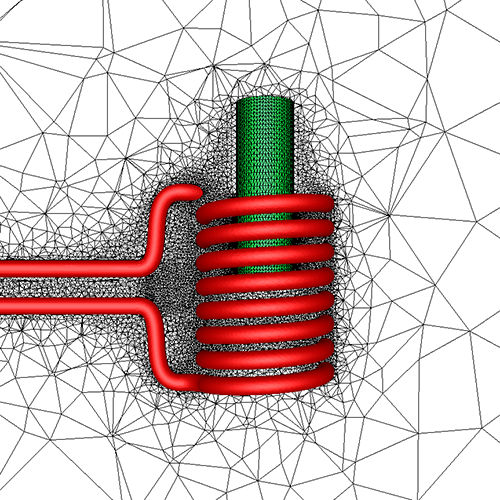 CM2 MeshTools® + CM2 FEM® = a very efficient global solution for the CAE chain. CM2 MeshTools® Suite and CM2 FEM® Engines are written in standard C++ language and are compiled and validated on common platforms/compilers (Win, Linux, Mac, Visual Studio, GCC, Clang, Intel C++ Composer). The software license allows you to integrate CM2 MeshTools® Suite and CM2 FEM® Engines in any number of your applications and redistribute copies linked to the the CM2 libraries without any royalty. 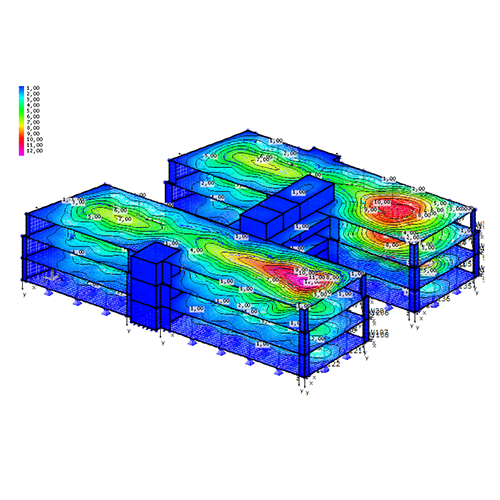 The CM2 MeshTools® Suite and CM2 FEM® Engines are recognized as the most powerful and easy to use on the market today. They have been regularly enhanced and improved since their first release to market in 1999. 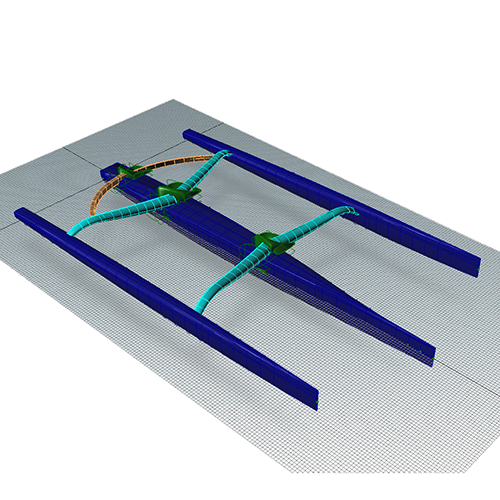 Example: CM2 Intersect® T3 can be called to fix intersection issues, followed by CM2 SurfRemesh® T3 to remesh the surface and finally CM2 TetraMesh® to fill the volume with tetrahedrons. Benefit right away from years of research & development. Available alongside binary licenses, full Source Code licenses can be purchased. Upgrades from binary license to source-code license are possible at anytime. The CM2 MeshTools® Suite is a complete set of professional high-quality C++ libraries for 1D, 2D and 3D mesh generation, including isotropic, anisotropic and NURBS surfaces mesh generators. The CM2 FEM® Engines are state-of-the-art C++ FEM engines for structural mechanical analysis: linear and non-linear static analysis (large displacements & large strains), Euler and full non-linear buckling analysis, transient dynamics, modal analysis, seismic analysis. This web site is not just a cosmetic spring clean-up. We hope it will ease your experience with our software components (better information through posts and newsletters, developer account for easier access to your downloads, management of support tickets and more to come). Feel free to contact us for any feedback. Over the years we have developed strong relationship with our clients. Since the first release of CM2 MeshTools® and CM2 FEM® in 1999, our goal has been to offer the best FEM meshers and engines to our clients. We have listened to their requests, proposed some of our own and built the best C++ FEM libraries available. We are proud of it. Very fast, very reliable, very accurate. We are more than satisfied with the meshes created by Computing Objects. D.I.E. Cad und Statik Software, GmbH. Your meshing tools have given us a huge productivity boost. One of our engineers just created a mesh with 45 million elements and 100 subdomains and is very happy with result. I wasn’t expecting anyone to create meshes this large, but CM2 tools is up to the challenge. Principal Engineer, Itasca Consulting Group, Inc.
Nous utilisons maintenant CM2 MeshTools aussi pour l’immersion de maillage multi-domaines appliquée à l’induction électromagnétique. L’efficacité et la puissance de la librairie nous procure un nouvel avantage concurrentiel.